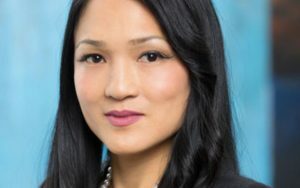 Enforceable undertakings (EUs) remain an effective regulatory tool despite copping flak in the wake of the Australian Royal Commission (RC) into financial services, according to Karen Chang, Financial Markets Authority (FMA) head of enforcement. Chang said RC Commissioner Kenneth Hayne criticised the Australian Securities and Investments Commission (ASIC) for favouring EU-lite instruments rather than the concept itself. In particular, Hayne slammed ASIC for issuing EUs that did not include any admission of guilt or even responsibility from the offending party, Chang said. “Not all EUs are created equally,” she said. Last week the FMA issued an EU against Mark Talbot, former ‘virtual’ chief financial officer of NZX-listed technology firm, VMob (now Plexure), that Chang said meets higher standards of accountability. The Talbot EU, the regulator’s 24th since 2005 – a period that includes the FMA predecessor organisation, the Securities Commission – includes a $150,000 fine (plus legal costs) and a five-year ban from director, promoter or management roles in listed companies. As part of the deal, Talbot admitted to insider trading charges relating to a purchase of 1 million VMob shares (in total worth about $10,000) in 2014. Last week Talbot was also convicted in the Auckland High Court of a “representative charge” of non-disclosure, copping a $12,000 fine. In his judgment, Justice Jagose said Talbot’s defence that disclosure was not required given the VMob trades were on behalf of his father “suggests your singular lack of comprehension for the role of disclosure in the market, which is hard to credit”. “In any event, ignorance of the law offers no excuse, and certainly not for eight separate incidents over the course of more than twelve months, only redressed after becoming aware of the FMA’s inquiry,” Jagose said. The judge also chose to “disregard” the possibility that Talbot’s EU fine could breach a legal precdent that it is “contrary to the public interest and unlawful for an arrangement to be made that a prosecution will not be brought or maintained on the condition that a sum of money is paid”. Chang said the EU likely resulted in a higher fine than Talbot would’ve received had he been convicted in a criminal trial. The maximum court penalty for insider trading includes a $300,000 fine and five years in jail. She said the EU option also enabled the FMA to deliver “educational” context to the market about acceptable behaviour that a jury trial might obscure. “In a trial you’re found guilty or not guilty there’s no reasoned discussion of the context,” Chang said. EUs must be published and freely available on the FMA website. The EU shows Talbot bought $10,000 of VMob shares – later transferred to his father – ahead of the company’s transformative 2014 deal with McDonalds in Japan. VMob shares jumped from Talbot’s purchase price of 1 cent to 1.7 cents after the deal was confirmed, resulting in a paper gain for the disgraced virtual CFO (or his father) of just $7,000. But the relatively tiny sums involved are not the point, Chang said. There were also “some analogies” between Talbot and former Milford Asset Management portfolio manager, Mark Warminger, Chang said. Warminger was found civilly liable under market manipulation charges brought by FMA in 2016. This month the annual parliamentary review of the FMA asked “whether the FMA has enough legal resourcing to ensure it can deal with the high profile and complex cases which often come before it”. “We were told that occasionally it can be a challenge, but that its staff have the right expertise and it has access to external expertise as well,” the parliamentary report says.